The 2018 FIFA World Cup, hosted by Russia, is fast approaching. The opening match of the World Cup between host Russia and Saudi Arabia will be June 14 at 11 AM ET. Ghost Path is one of the world’s most secure VPN providers. A VPN is a virtual private network, which is like an added layer of security for your internet connection. If you’re connected to Ghost Path then no one can look at your internet data and determine what you’re doing – all of your data is encrypted. Another benefit to using a VPN is the ability to avoid geographic restrictions. When you connect through a Ghost Path VPN server, third-party websites and services think that you are located where the VPN server is located. This allows you to access sites that would otherwise be unavailable to you because of your country. 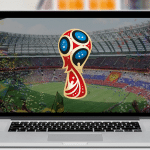 The best site for watching the World Cup is tvplayer.com (not an affiliate link). You’ll need to connect to a Ghost Path server in the UK to be able to access the site. Once you’re connected go to tvplayer.com (not an affiliate link) and watch the BBC iPlayer and ITV Hub channels. You can try the free membership at tvplayer.com (not an affiliate link) or start the free trial of the paid membership. You can find the complete schedule at FIFA. 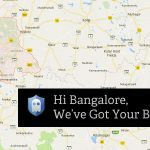 Our most recent server is located in Bangalore, India. This is our third server in India as we continue to grow our global network. The Bangalore VPN server should be incredibly fast for you if you’re in India or in southern Asia. Ghost Path now has 138 operational servers in 44 countries providing our customers with hundreds of anonymous IP addresses. You can view an up-to-date list of all of our servers here. With Ghost Path you have the freedom to browse the world wide web using any of our remote servers. Watch for more VPN servers as we continue to grow. Open the Ghost Path VPN client. If you’re currently located in India the Bangalore gateway will automatically be in your closest Locations connection folder. If you happen not to be in India but still would want to connect to the new server in Bangalore: all you need to do is go to the locations tab of Ghost Path’s app and simply create a new locations folder. Drag the Bangalore, India server to that folder and you’re good to go! Ghost Path is both secure and pocket-friendly. We take your privacy very seriously and never log your data. Ghost Path is committed to consistent improvement and expansion; give our services a try with a 7-day free trial. 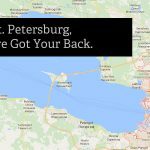 Our most recent server is located in St. Petersburg, Russia. This is our third server in the Russian Federation as we continue to grow our global network. Ghost Path is committed to consistent improvement and expansion. The St. Petersburg VPN server should be incredibly fast for you if you’re in Russia or in the Baltic region. Ghost Path now has 137 operational servers in 44 countries providing our customers with hundreds of anonymous IP addresses. You can view an up-to-date list of all of our servers here. With Ghost Path you have the freedom to browse the world wide web using any of our remote servers. Open the Ghost Path VPN client. If you’re currently located in the Russian Federation the St. Petersburg gateway will automatically be in your closest Locations connection folder. If you happen not to be in Russia but still would want to connect to the new server in St. Petersburg: all you need to do is go to the locations tab of Ghost Path’s app and simply create a new locations folder. Drag the St. Petersburg, Russia server to that folder and you’re good to go! Ghost Path is both secure and pocket-friendly. We take your privacy very seriously and never log your data. We offer a 7-day free trial. When working to secure our data we often overlook the most obvious of vulnerabilities, our passwords! We make our passwords easy for us to remember and in doing so they’re easier to break. First things first, a randomized 8 digit password is very strong. It’s made even stronger when providers require our passwords to have at least one uppercase letter, one lowercase letter, one special character, and one number. That process will generate 18,170,005,425,000 different passwords. If you were able to try 100 passwords a second, it would take you over 5,000 years to attempt every pas sword! Surely, a randomized password would be almost impenetrable, right? Therein lies the problem, our passwords are not random. We compromise our passwords when we create them. The characters we choose that compose our passwords are often words or numbers that have significance to us. For example, many numbers are often birth years, or just the number 1. Sometimes, it’s easier just to use a sequence of numbers like 123. By making the password relevant to us and easier to remember, we have made it easier to crack. In 2016 the 25 most common passwords made up about half of all passwords. Passwords are inconvenient. We’re supposed to have long, complex passwords and store them in our heads. To complicate our lives even further, we’re not supposed to duplicate our passwords for any site. While this may be ideal it’s also entirely impractical. The best way to maneuver through this seemingly impossible dilemma is to use a password manager. LastPass and Dashlane are both excellent choices that provide users with the security of having a complex password without the vulnerability of writing it down or the inconvenience of forgetting passwords. Take a moment to consider how many passwords you have. Do you use the same password for different accounts? Do any of your passwords contain numeric sequences? Are you vulnerable? Our most recent server is located in Ljubljana, Slovenia. This is our flagship server in Slovenia as we grow our global network for Ghost Path. The Ljubljana VPN server should be incredibly fast for you if you’re in Slovenia or in any of the neighboring countries. Ghost Path now has 136 operational servers in 49 countries providing our customers with hundreds of anonymous IP addresses. You can view an up-to-date list of all of our servers here. With Ghost Path you have the freedom to browse the world wide web using any of our remote servers. Open the Ghost Path VPN client. If you’re currently located in Slovenia the Ljubljana gateway will automatically be in your closest Locations connection folder. If you happen not to be in Slovenia but still would want to connect to the new server in Ljubljana: all you need to do is go to the locations tab of Ghost Path’s app and simply create a new locations folder. Drag the Ljubljana, Slovenia server to that folder and you’re good to go! Our newest VPN server location is Tallinn, Estonia. This is our first server ever in Estonia, as we continually look to grow the network footprint for Ghost Path. If you are in Estonia or a nearby country then the Tallinn VPN server should be super-fast for you. We are currently operating 135 servers in 48 countries with hundreds of anonymous IP addresses. Here is an updated list of all the servers that we operate. You are free to connect to any server that you want and you can switch between servers as often as you want. Launch the Ghost Path VPN client. If you’re already in Estonia the Tallin gateway will be in your Closest Locations connection folder by default. 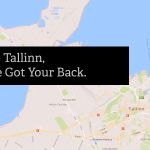 If you are not close to Estonia but still want to connect to the new server in Tallinn then simply create a new locations folder in the locations tab of the Ghost Path app and drag the Tallin, Estonia server to that folder. Choose that folder from the main tab and you’re ready to go. Ghost Path is an affordable and secure VPN services provider. To keep your browsing history strictly private we never log your data so rest assured. A 7-day free trial is available on select accounts. Give us a try today. 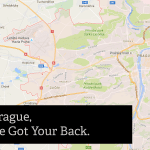 Our latest VPN server is in Prague. The addition of Prague gives Europeans a new connection option, as there are now several VPN gateways in Europe. Ghost Path is now operating over 147 VPN gateways in over 46 different countries providing over 229 IP addresses. We are continually expanding and improving our VPN infrastructure so that Ghost Path customers have the best and most reliable VPN connections possible. Open up the Ghost Path VPN client. If you’re in the Czech Republic then the new Prague gateway will automatically show up in your Closest Locations connection folder. If you happen to be outside of the Czech Republic and want to connect to this server then you should create a custom location folder and drag the Prague server into that folder. Ghost Path is a leading VPN provider in the United States. We offer the best privacy and security around and never log your data. We offer a 7-day free trial on select VPN accounts, so give us a try today. Tired of the lag while playing your favorite MMORPG? You can now breathe easy. We’ve recently added a VPN server in Charlotte, North Carolina. Receiving and sending data packets is now a breeze! You can easily play with your pals in the States while halfway across the world at the speed of light! Ghost Path operates over 136 servers across the world with 50 of these located in the United States spread out from coast to coast. Whether you want to access geo-restricted content or test SEO and marketing strategies for your website or your clients you can rest assured Ghost Path has your back! First thing you need to do is open the Ghost Path VPN client. If you happen to be in North Carolina home to Smokey Mountains, the Charlotte VPN gateway will show in your Closest Locations folder by default. 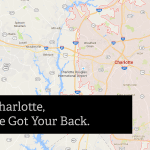 If you’re outside of North Carolina and would like to connect to the Charlotte server, create a custom location folder and drag the Charlotte server into that folder. We are a pocket-friendly VPN provider that does not cheap out on our infrastructure. We play by the book to keep it robust and secure to always maintain your privacy. Would you like to find out for yourself? We offer a 7-day free trial on select VPN accounts. Our pricing is as low as $5! Want to catch the latest episodes of Netflix’s Stranger Things and don’t know how. Well wonder no more! We have recently added a VPN server in Lanseria, South Africa. This server is an additional gateway in South Africa bringing the total number to two for our South African customers. We currently operate in 47 countries with access to over 136 servers worldwide. We are ambitiously scaling our infrastructure to better improve our services as well as grow our user base. Open up the Ghost Path VPN client. If you’re in South Africa then the new Lanseria VPN gateway will automatically show up in your closest locations connection folder. 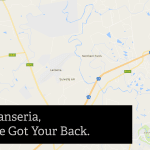 You can also connect to the Lanseria server from outside the country. All you need to do is create a custom location folder and drag the Lanseria server into that folder. Ghost Path is a leading VPN provider based out of the US. To make sure that we offer the best privacy we never log your data and offer top-notch security for all of our users. If you’d like to try us out before committing, we offer a 7-day free trial on select VPN accounts and with pricing as low as $5 a week, you can be sure we have pocket-friendly prices.